Continental Automotive at Ebbw Vale manufacture hydraulic braking systems, duo servo parking brakes, and equipment spares which are used by car manufactures in the production of their vehicles. They are also used for spares, repairs and aftermarket sales. Continental want to provide the best solutions for each of their customers in each of their markets. Faced with ever increasing international competition, Continental Automotive Ebbw Vale, has focussed on customer service excellence and has developed niche product market combined with an innovative approach to deliver high customer satisfaction levels. The target is a return on capital employed (ROCE) of at least 20 percent. The strategy targets a globally balanced distribution of sales. They develop and produce a large number of production applications on a local basis to meet the needs and requirements of customers, believing this is most effectively achieved on site. They aim to be among the world’s three leading suppliers in terms of customer focus, quality and market share in the long term. A high degree of localisation characterises the global business model. A large number of product applications are developed and produced locally. We currently have production locations in 35 of 56 countries in which we are represented. By having a balanced customer portfolio, they want to reduce dependency on the automotive economy, striving to increase business in industries outside of the automotive original equipment sector, while at the same time achieving further growth with carmakers. In the tyre sector, they are investing in additional production capacity geared predominantly toward the end customer business. They are strengthening the automotive end customer business through customer-specific solutions and products. They are increasing sales with industrial customers from sectors outside of the automotive industry both organically and through acquisitions. 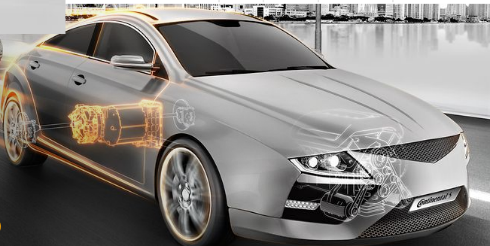 The aim is for the product portfolio to consist of a profitable and viable combination of established and pioneering technologies, and to position themselves as one of the leading automotive suppliers and industrial partners. Continental strives in all divisions and departments to promote a culture of trust and personal responsibility, to foster tolerance of errors as a learning system and to give people freedom to act. In order to develop the corporate culture, they implement numerous initiatives to promote and shape a working atmosphere that is characterised by trust and mutual respect. Continental Automotive Ebbw Vale, uses the Business Excellence Model in their Journey to Excellence to provide an organisational health check. They won a Strategy Category Prize in the 2016 Wales Quality Awards.